Cash, Cheque, Interac, MasterCard & Visa accepted. Palliser Regional Park is located 8 km S.W. of Riverhurst on the East side of Lake Diefenbaker. 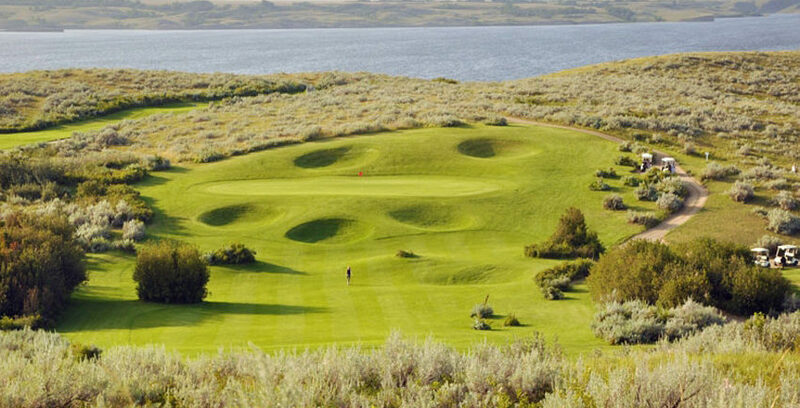 Centrally located between Moose Jaw, Saskatoon and Swift Current. 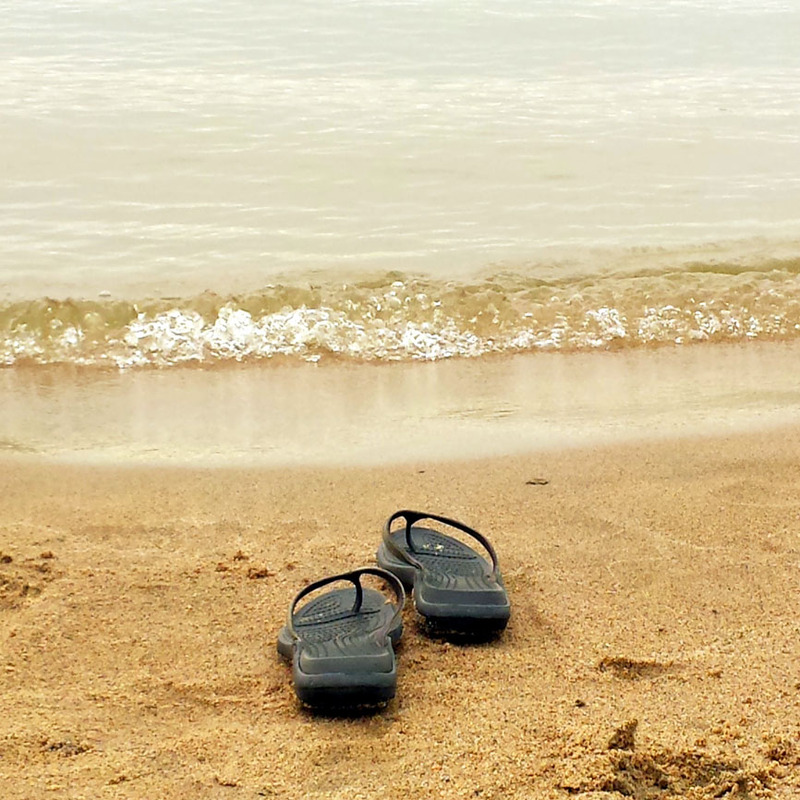 Clear water and sandy shores make this lake the perfect place for swimming, fishing and boating. 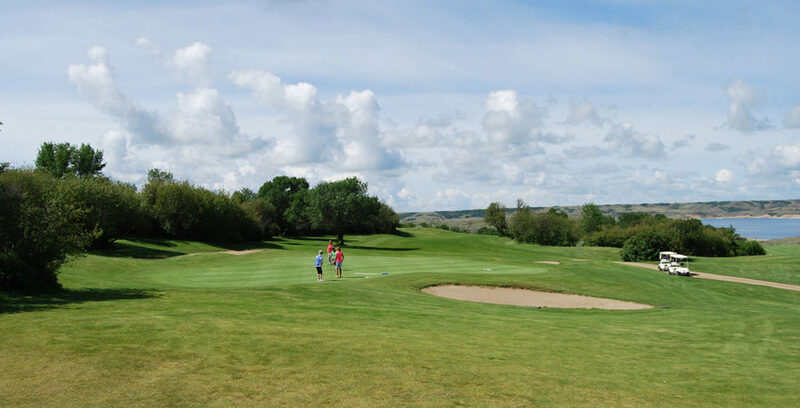 Palliser Regional Park is a family friendly destination with a pool, aquatic program, modern shower house, laundry, concession, golf course and so much more. At Rusty's Coulee Marina you will find a store with bait, fishing license vendor, groceries, marine supplies a first class boat launch and just about anything else will need for your day on the lake. Campsites vary from non-serviced to full service. Bookings are done online at www.palliserregionalpark.com. Throughout July and August there is a Farmers Market every Saturday and from 10am to 2pm featuring local fresh produce and crafts; every Sunday is our famous Lions Pancake Breakfast from 9:00 a.m. to 11:00 a.m. 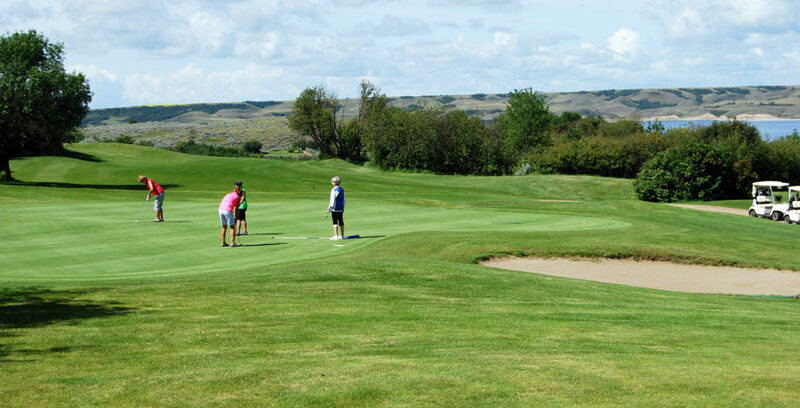 The Mainstay Inn has hotel/motel, cabin rentals, first class restaurant, and team up with the Sage View Golf Course to offer golf and stay packages. Riverside Inn-The Inn - conveniently located on Riverhurst's Main Street directly across from Kitely Park and Playground. Bar with food service, ATM, and rooms. 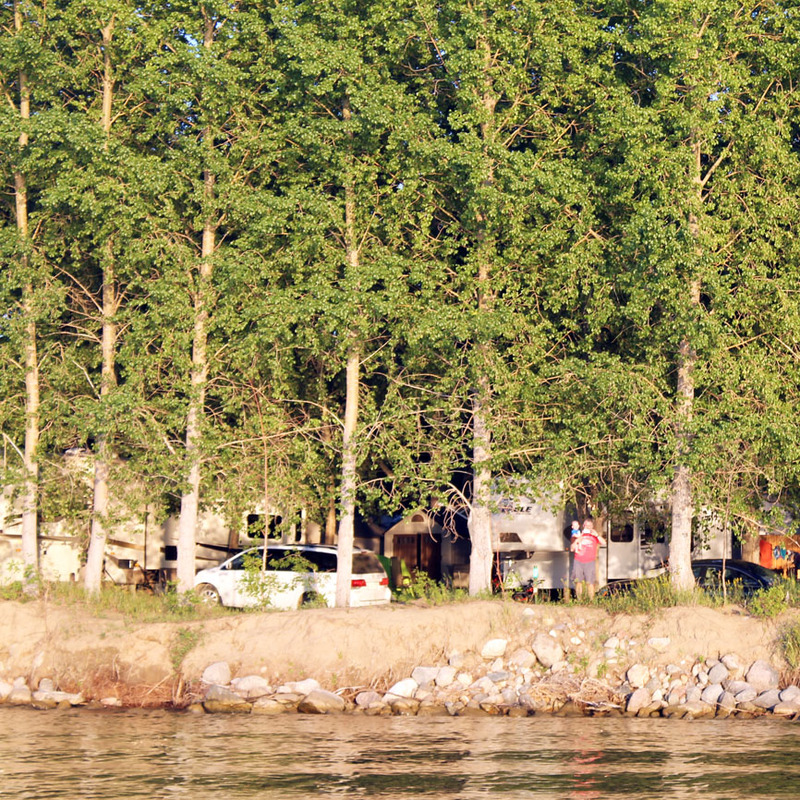 Riverhurst Campground - Open from May long weekend to September 30. Hutton House Bed and Breakfast - (306) 353-0032. J.N. Millers Service - service station/grocery store/postal outlet/ATM. Riverhurst is only a 5 mile drive from the park. Located 30 km away in Central Butte is Palliser Plains Co-op hardware, gas/propane, some camping supplies, ATM machine, Central Butte Fine Foods Grocery, post office, CIBC and Conexus banks. 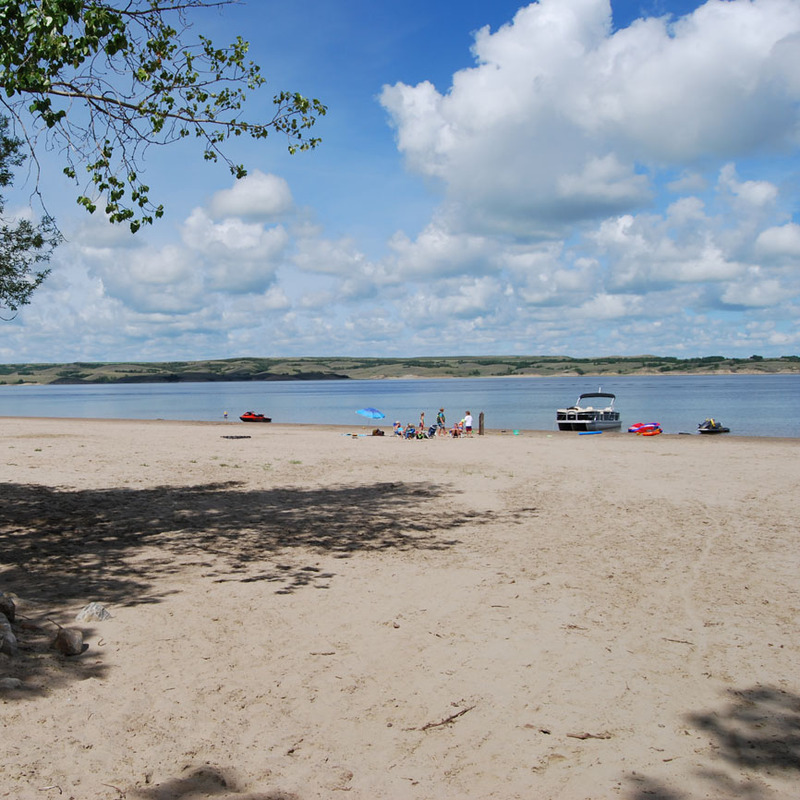 Incorporated in 1963, Palliser Regional Park is along Lake Diefenbaker. It is named for Captain John Palliser, the surveyor hired by the British government to explore and survey the area. His maps and field notes indicate that the park is located at the apex of what is now called the Palliser Triangle. Wheelchair accessible washrooms and showers are available and the concession is wheelchair accessible. No animals shall be allowed to run at large on park land or brought to any beach area or swimming area (or any water within 90 metres of a beach or swimming area). Pool open from June 27 to August 23; Concession open July and August. Please see website for details. Electrical sites have 220 plug in’s. If you have a 110 plug on your camping unit or are tenting you will need an adaptor in order to plug in. There are two campground areas in the Park. 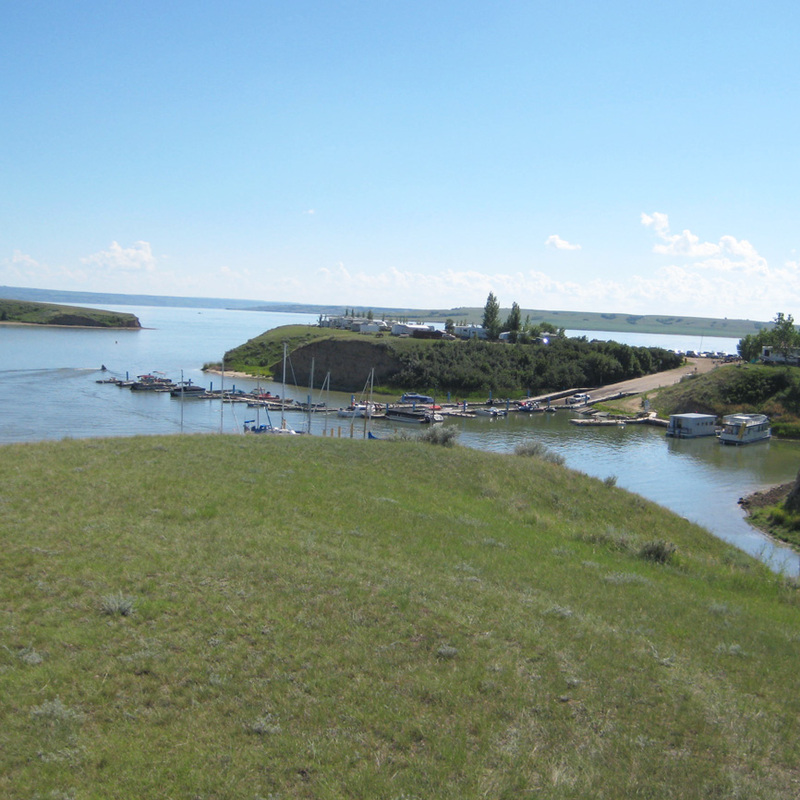 One is located at Rusty’s Coulee Marina and the other is located in the Main Park area. Rusty’s is a newer area of the park and the sites are large to accommodate bigger camping units. 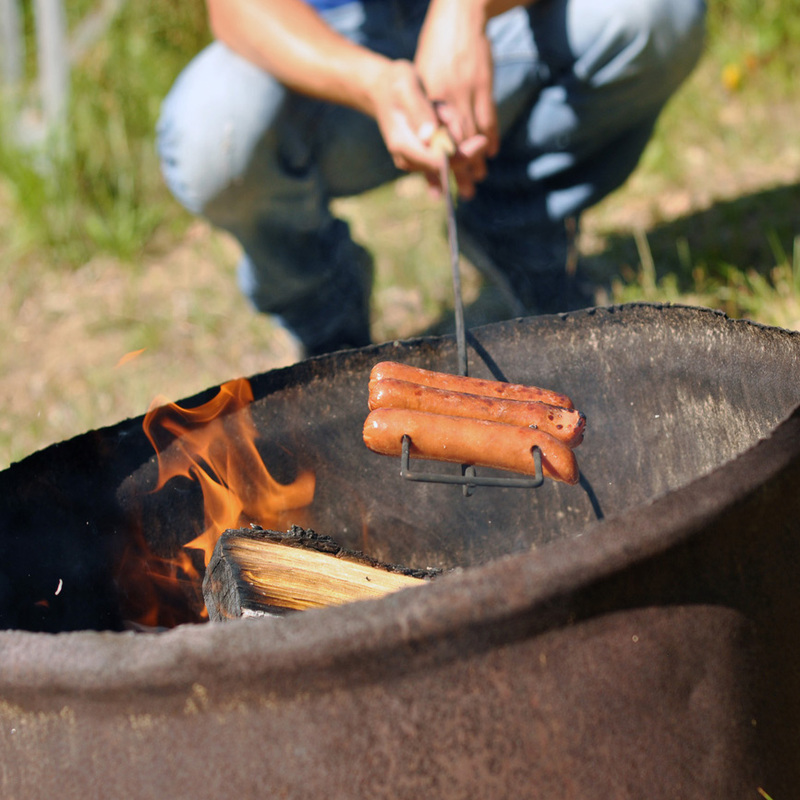 All campsites at Rusty’s are full hook up and are both seasonal and reserve. Rusty’s caters more to the boat enthusiast as this is where the marina is located. 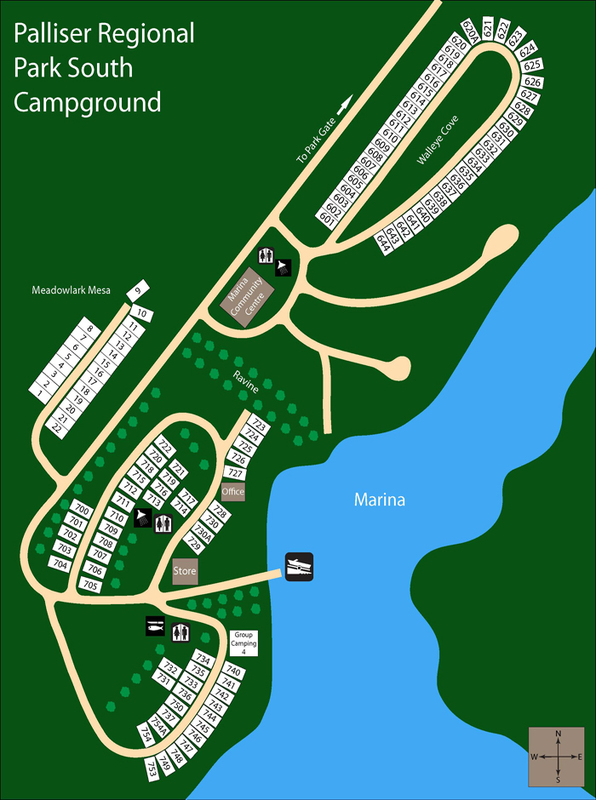 In the Main Park area there is a variety of camping ranging from non-service sites to full hook-up sites, tenting and group camping. Sites here are both seasonal and reserve. Palliser Park has 200 year round seasonal sites and 100 reserve sites. In addition there are 75 mobile trailers and 103 cottages. 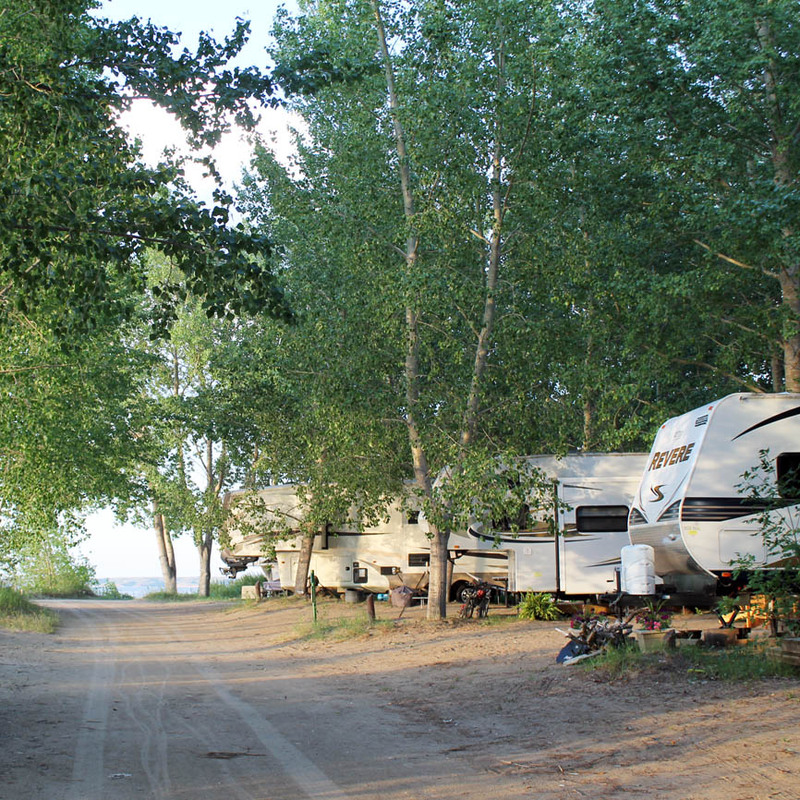 Both campground areas have coin operated laundry and shower/washroom facilities that are not coin operated. Power sites are a 30 amp service. There are 3 group camping areas in the Main Park area. Power and water are available. A $100.00 reservation fee applies to booking for group camping. Book early! Group camping is not booked on the reservations website. 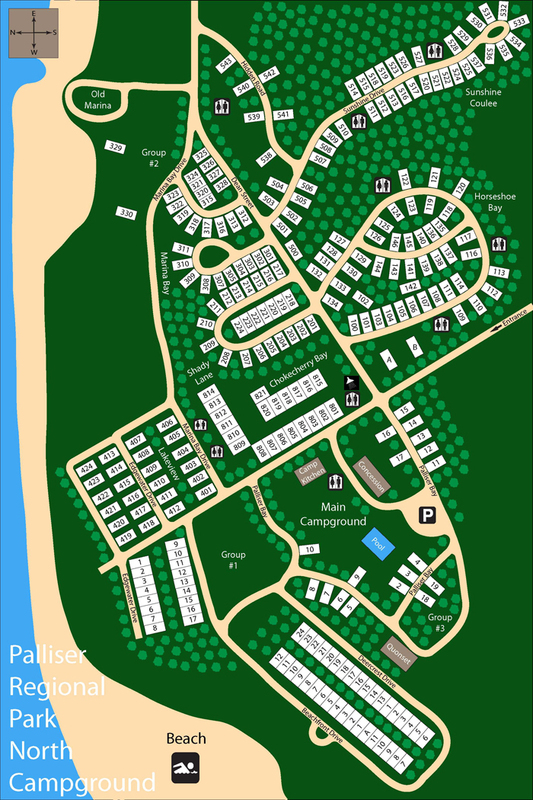 Please email group camping requests to palliserreservations@live.com. The park has an outdoor heated swimming. Each year the staff at the pool offers Red Cross Swimming Lessons in July and early August. 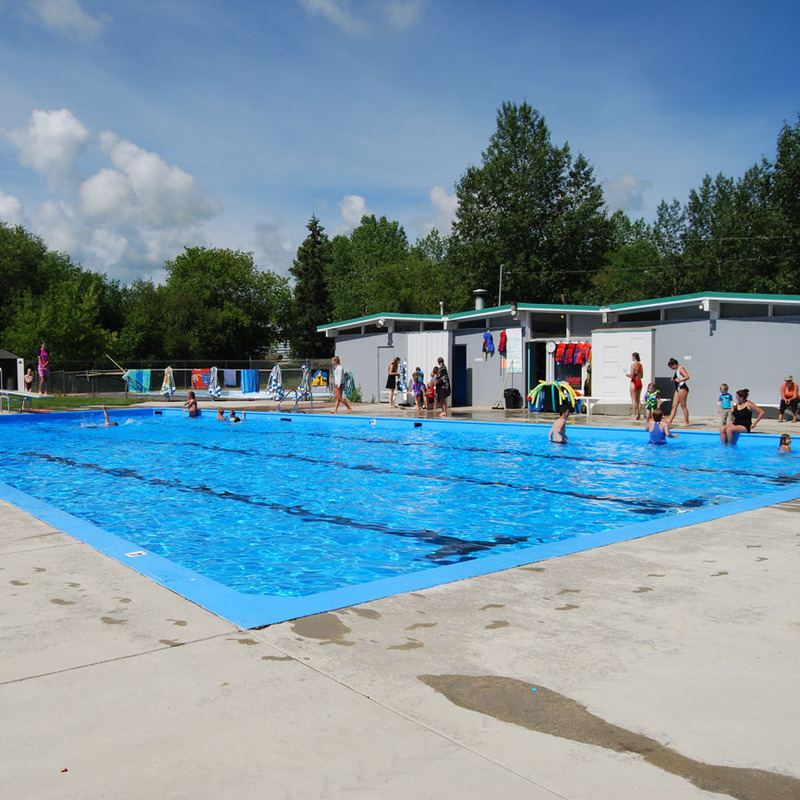 The pool is inspected and compliant with the Saskatchewan Public Health Standards and Regulations. Tentative date for pool opening – June 30, 2018. The playground is located next to the concession and across from the pool. It is well equipped, modern and safe. There is a basketball hoop and pad and a sand volleyball court. 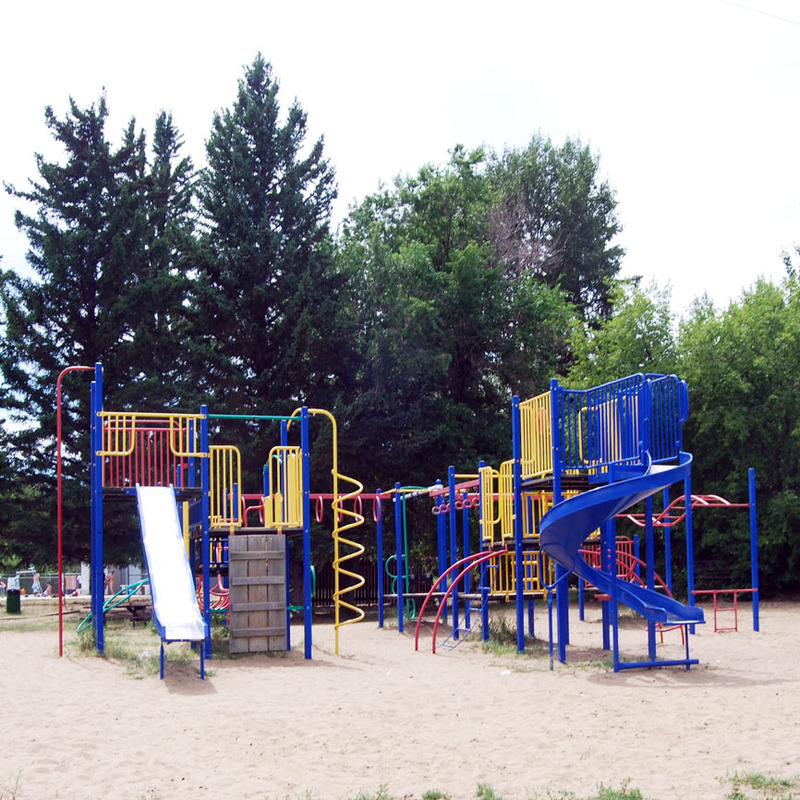 There is a second play structure at Rusty’s Coulee Marina located in the Walleye Cove campground. The playground equipment has been donated by the Riverhurst Lions. At Rusty’s Coulee Marina you will find full service for all boating and fishing. Fishing license, bait, tackle, marine batteries, marine gas, and a fish cleaning shack are all available out here. The Marina Store is also a convenience store with a small selection of groceries and the only soft ice cream for miles. There is a first class boat launch with convenient daily parking for your truck and boat trailer and seasonal boat trailer parking in the back. The marina is deep enough to accommodate all kinds of water craft including sail boats. Each year the older docks are being replaced with new aluminum docks with cedar tops. Although fishing is prohibited from the docks there is access to shore line fishing in and around the Park area. This spring a fishing only dock was installed in the Marina. The Eric Kurz Memorial Nature Trail is a recent development and provides lots of opportunity to enjoy the parks flora and fauna. A bird watchers paradise. The Mainstay Inn is renowned as a premiere resort, where guests can enjoy a relaxed and friendly atmosphere. The Inn has a convention room, hotel rooms, motel units and cabin rentals. 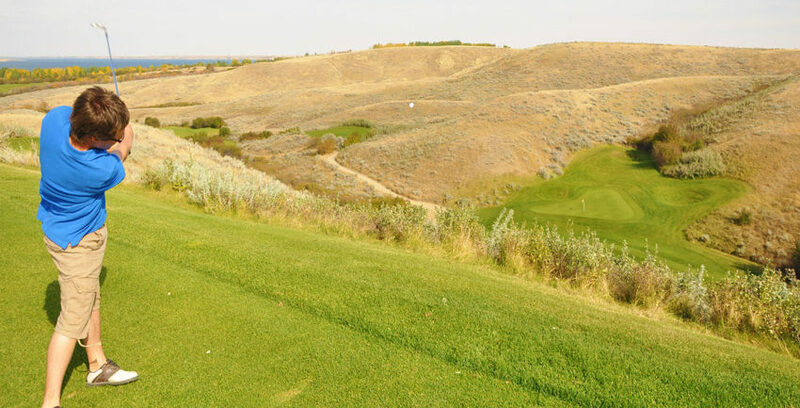 They also team up with the Sage View Golf Course to offer golf and stay packages. The Mainstay Inn features fine evening dining and they also have a locally famous Sunday Brunch and Sunday buffet. Reservations are recommended. Phone (306) 353-2077. 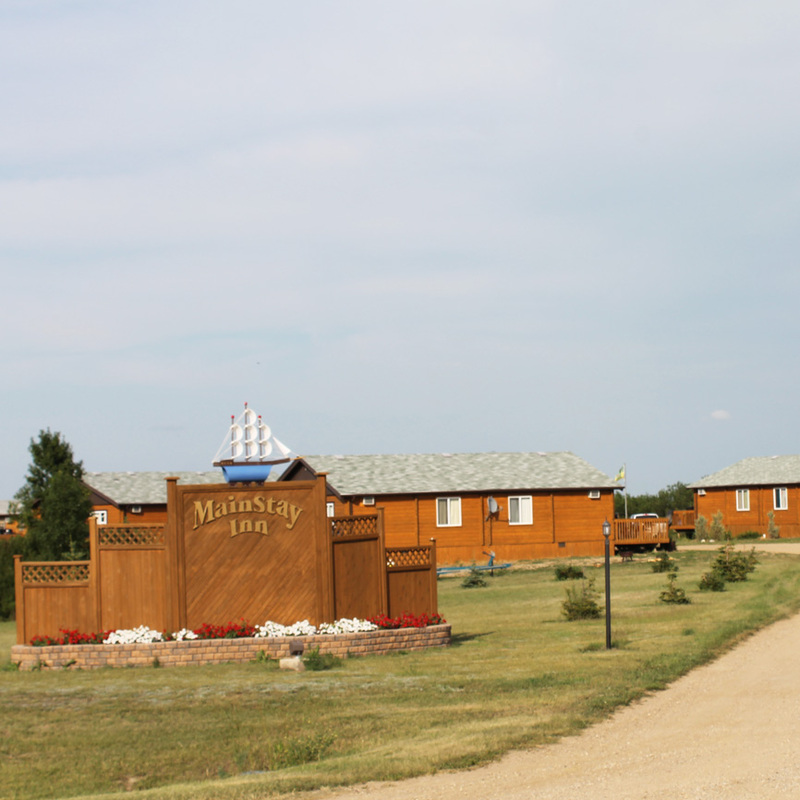 The Marina Centre is located at Rusty’s Coulee Marina and the Camp Kitchen is located in the Main Park and both are available to rent for family reunions, birthdays, anniversaries, etc. Individual campsite reservations must be booked online on our website beginning the first Monday in March of each year. Payment of 100% of the reservation is required at booking. Group camping reservations, Camp Kitchen reservations and Marina Centre reservations must be booked with the Park Office. There is a $100.00 non-refundable reservation fee must be paid at the time of the reservation. This fee is for the reservation only and does not apply to any camping fees. For Cancellation and how change your reservation policy see below under "Forms".